Sometimes Halloween is best when we get nostalgic and remember our past costumes, past sojourns at trick-or-treating, past jack-o-lanterns, and past viewings of scary movies. The following 20 streaming selections are re-watchable horror movies from days gone by, or, perhaps, waiting for a few fresh, innocent viewers. In any case, get ready for somnambulists, vampires, killers, monsters, mutants, demons, and giant bugs! Happy Halloween! 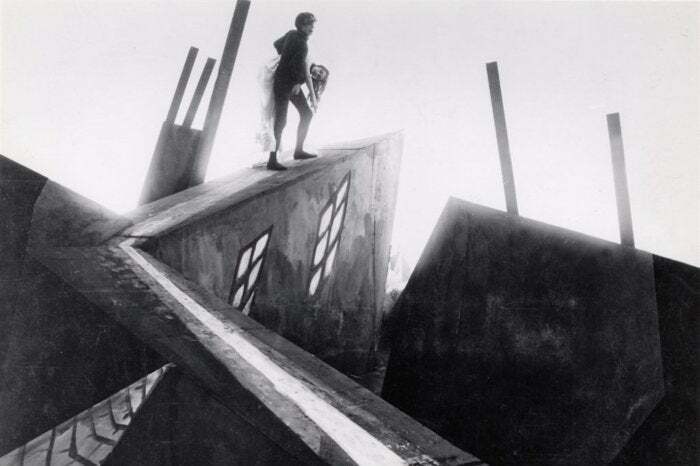 Robert Wiene’s essential The Cabinet of Dr. Caligari (1920) is an unquestionable landmark in cinema, influencing everyone from Murnau and Lang to Hollywood filmmakers of the 1940s. Rather than attempting to capture “realism,” which was the general method of the time, Wiene went the opposite route, slathering the screen with forced perspectives and all kinds of bizarre diagonals and slants; there is hardly a right angle to be found in this film. It results in vivid, dreamlike logic and a terrifying lack of control.